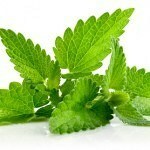 Patchouli: The absolute patchouli has a strong, noticeably sweet and herbaceous aroma with balsamic & woody undertone. Patchouli blends well with vetiver, sandalwood, cedar wood, clove, lavender, rose, and labdanum. If you like the smell of Patchouli we recommend Miss Dior by Christian Dior . Other notes in this perfume are citrus, white floral, warm spicy and rose. 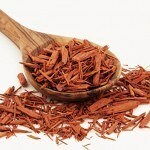 Sandalwood: Sandalwood has a rich, balsamic, sweet scent with subtle wood notes. The oil has a woody, glamorous smell, delicate and lasting. If you like the smell of Sandalwood we recommend Hypnotic Poison by Christian Dior. Other notes in this perfume are vanilla, almond, sweet, powdery fruity and woody. 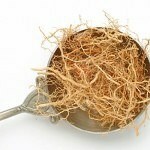 Vetiver: Vetiver has a deep, sweet, woody, smoky and earthy scent. It is like a grassy field on a dry, warm day. If you like the smell of vetiver we recommend Encre Noire Pour Elle by Lalique. Other notes in this perfume are musky, rose, floral, amber and woody. 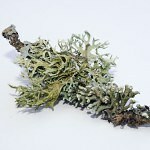 Oakmoss: Oakmoss has a rich, earthy and mossy aroma. It conveys a wet forest floor scent that is very true to nature, with dry, earthy and green qualities with a leather undertone. If you like the smell of Oakmoss we recommend Bottega Veneta by Bottega Veneta . Other notes in this perfume are earthy, patchouli, leather, woody, white floral and animalic. 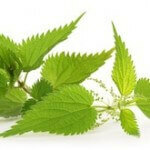 Nettle: Nettle has a grassy, herbal, aromatic, citrus smell. To some people, it is kind of musky and minty which means it has a fresh quality. If you like the smell of Nettle we recommend Extravagance d’Amarige by Givenchy . Other notes in this perfume are sweet, herbal, aromatic floral and citrus. 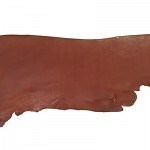 Leather: The smell of leather is soft and yet so exciting. The rich leather scent makes you nostalgic. It is so basic, so natural, and again so sensual. If you like the smell of Nettle we recommend Shalimar by Guerlain. Other notes in this perfume are balsamic, citrus, powdery, woody, vanilla and smoky. 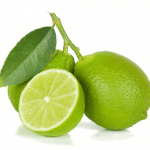 Lime: Lime is a citrus fruit similar to green lemon. Its smell is dryer, lighter and sweeter than of the lemon, and at the same time more intensive and airy. If you like the smell of Lime we recommend Virgin Island Water by Creed . Other notes in this perfume are sweet, coconut, tropical, rum and vanilla. 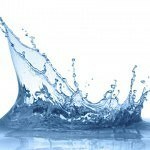 Water: The water note provides freshness, cleanness and a humid, non-dry feel in perfumes. The opposite of powder. It is very sporty and outdoorsy. If you like the smell of Lime we recommend Bright Crystal by Versace. Other notes in this perfume are floral, citrus, fresh and woody. 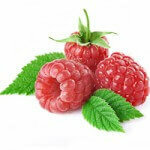 Raspberry: Raspberry smell is tangy, juicy, tart, sour and green. If you like the smell of raspberry we recommend Neon Candy by Tous. Other notes in this perfume are sweet, fruity, floral, citrus and fresh. 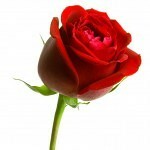 Rose: Rose has a romantic and feminine scent. It is heavily floral and pink. If you like the smell of rose we recommend Roses De Chloe by Chloe . Other notes in this perfume are musky, citrus, floral and fruity. 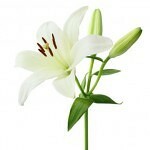 Lily: Lily has a strong and mature smell. It is sweet and spicy which can become intoxicating with aspects of brine and sweet florally. If you like the smell of lily we recommend Anais Anais by Cacharel. Other notes in this perfume are floral, green, woody, fresh spicy and animalic. 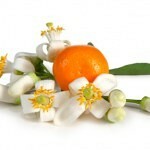 Orange Blossom: Orange blossom absolute, has deep and sweet fragrance that intensely reminds of the aromatic scent of fresh flowers, intoxicating and irresistible, it feels close to the scent of jasmine. If you like the smell of orange blossom we recommend Chic by Carolina Herrera. Other notes in this perfume are floral, white floral, tuberose, rose, citrus and woody.